A Self Invested Personal Pension (SIPP) is a type of pension plan that is very flexible and allows you to take control of your own investment decisions when saving for your retirement. If you no longer live in the UK, an International SIPP allows you to transfer and consolidate benefits from a UK registered pension schemes easily and efficiently to your new country of residence, while still protecting you under UK regulations. SIPPS allow you to take regular or variable income using an International SIPP drawdown from your fund while still remaining invested. Why have an International SIPP? If you are a non-UK resident, then an International SIPP for expats gives you the ability to hold assets that are appropriate for international clients and also in other currencies, yet still meet the key UK Regulatory requirements. The International SIPP gives you the freedom to appoint an authorised investment adviser or manager, or alternatively, you can manage the investments yourself. International SIPP eligibility: Who is an International SIPP suitable for? A tax resident elsewhere, you can still have a SIPP but will not have tax relief on your contributions. But importantly in both of the above scenarios you can can take benefit (drawdown) in any country but it’s important to check what Dual Taxation Agreements (DTA) are in place with the UK and the country that you are residing with your financial adviser. 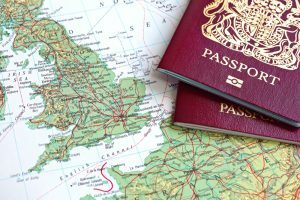 If you are an expat who eventually plans to retire to the UK, then an International SIPP may be suitable for you. If, however, you are planning to retire abroad, a SIPP may not be the most appropriate pension solution for you depending on the Dual Taxation Agreements (DTA) in the country that you are residing and your retirement objectives, a QROPS maybe more suitable in certain circumstances. The benefits of an International SIPP are many. SIPP investments typically provide you with a much wider range of investment choice and flexibility, compared to a standard pension with its limited choice of funds typically overseen by the company’s own fund managers. Property and land (not typically residential property). SIPP Pension investments grow free of capital gains tax or income taxes. International SIPP vs QROPS: What are the differences? Like an International SIPP, a QROPS (Qualifying Recognised Overseas Pension Scheme) is aimed at expats with existing UK pension rights. The main difference is, however, that QROPS are typically suitable for you if you have a large pension pot (i.e you who are close to the Lifetime Allowance which is currently £1m in 2017/18). A QROPS may help mitigate future tax liabilities for exceeding the allowance when you come to draw benefits. In the UK budget 2017, there was also a array of changes for QROPS particularly for expats who are resident outside of the EEA where a International SIPP would be the most prudent option. The QROPS is in the EEA and the Member is also resident in a EEA country. The QROPS and Member are in the same country or territory. This is a limited if negligible part of the market. Investment options – which are most appropriate for you? This really depends on your own, unique, financial circumstances, as each of us are different and an investment option that is suitable for your work colleague or neighbour may not be the most appropriate investment option for you. Not only do your financial circumstances influence the type of investment that is most suitable for you, but so does your attitude to risk, future priorities and so on. That is why seeking advice from an independent financial adviser who specialises in the expatriate financial market makes sense. While the process of transferring an existing pension into an International SIPP is fairly straightforward, it is imperative that the transfer is done correctly and into a recognised and approved scheme. If you don’t, for example, your UK pension scheme could refuse the transfer, or you may be liable to pay a minimum of 40% tax on it. Using the services of Harrison Brook France, specialists in expat financial advice and services, will make sure the transfer is done correctly and cost-effectively, fully on a transparent ‘fee’ based model of advice.